Cool Candles Professional quality LED rechargeable candles. The internal rechargeable battery and remote control provide ultimate convenience, ideal for restaurants, bars and clubs. These tea-light sized LED candles glow and flicker much like to a real candle flame, providing superior ambiance compared to lesser products. Available in 7 base colours and sets from 12-60 pieces, to help you create the perfect atmosphere for your venue! These rechargeable LED candles are ideal for venues where you are unable to light candles, including heritage buildings and many healthcare facilities. They're also a great choice when conditions or weather make real candles impractical. Customers tell us our rechargeable candles are great for al fresco dining, windy outdoor areas, cruise ships, swimming pool areas, and more. 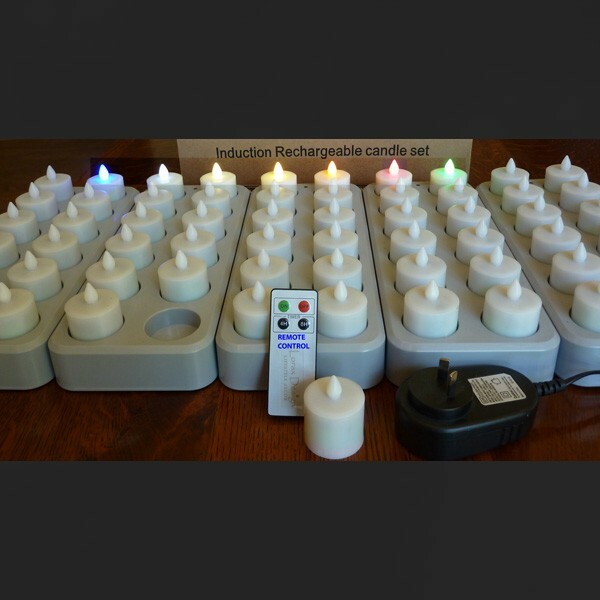 With no flame, soot or wax, venue owners will also appreciate the safety and convenience of these LED candles. Additionally, the easy induction charging and remote control provide maximum convenience for busy operators. These professional LED candles feature induction charging, for a long lifespan and ultimate convenience. Don't waste time and money with disposable batteries - just return the candles to the charging station at closing time. One charge provides long-lasting ambience for a fraction of the effort. 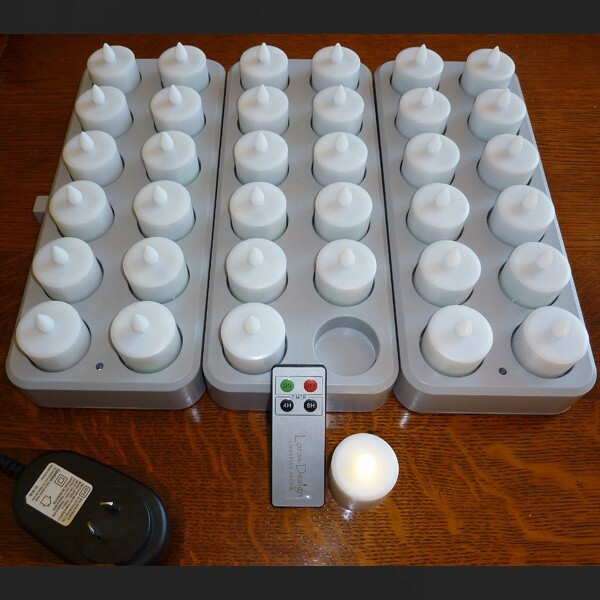 For your convenience, we provide our professional rechargeable candles with remote control on/off function. 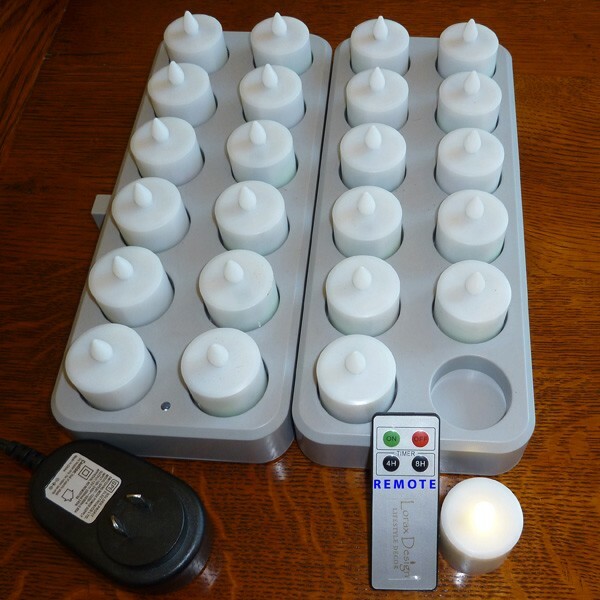 There's no need to fiddle with individual switches when one button can control every candle! In addition to manual on/off function, the remote can also activate a timer function, so your LED candles will turn off automatically. It's not just easy, it's also efficient - no more wasting battery life! 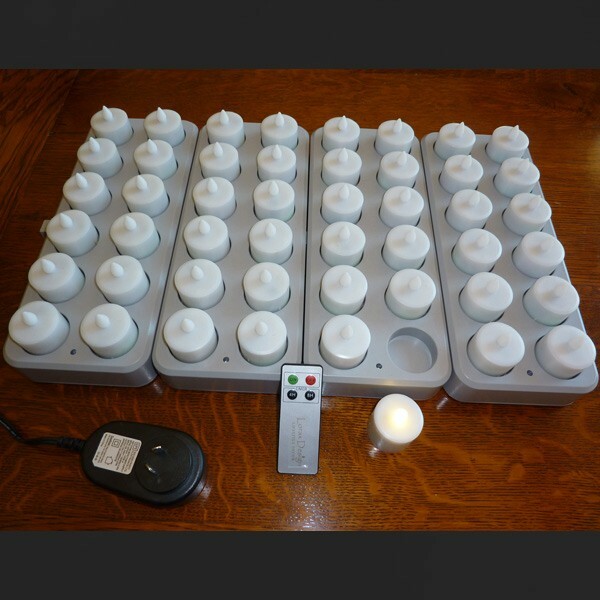 Ideal restaurant LED candles, these convenient rechargeable tea lights are the perfect size for table lighting. They fit well in most votive or tealight-sized table lamps. Use with white or clear table lamps so you can change colours whenever you like, or mix with coloured lamps for maximum impact. For a look at our favourite LED table lamps, take a look at our LED lamps category. Low-quality LED candles often have a distracting regularity to their flicker, which quickly ruins the atmosphere. 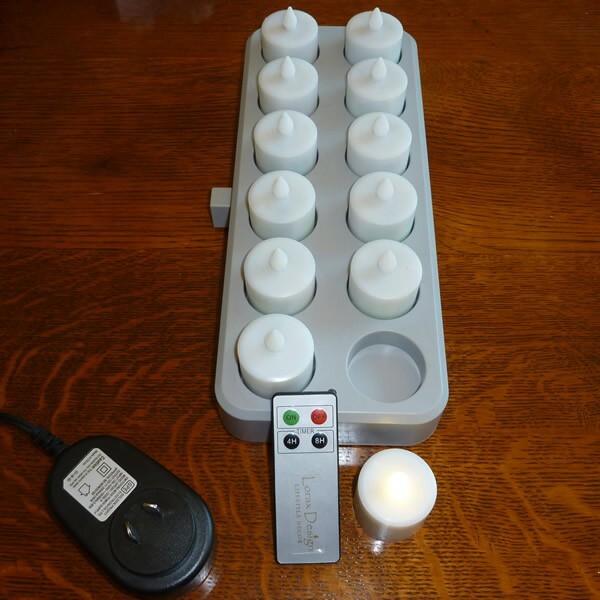 By contrast, our professional rechargeable tea lights have a randomised flicker function designed to mimic the subtle movements of real candles - not too slow, too fast or too predictable. Compared to lesser products, their realistic flicker provides a much more pleasant atmosphere for your customers. These rechargeable candles are available in a seven base colours, including candlelight, bright blue-white, green and blue. Create any atmosphere to suit your venue, from intimate to intense. Just choose your LED colour when ordering!